Advancing automation in many technical areas (mobility, production, medicine, etc.) is accompanied by new challenges for the interaction between humans and technical systems. Trust in automation is a key element for the use of technology and for compliance with its recommendations. This also applies to decision support systems (DSS) in the production domain. These can make the increasing complexity of production processes and networks manageable but can lead to serious financial losses in case of error as well. The present study addresses the restoring of trust in those DSS after a failure. In an exploratory two-stage approach, interviews were used to identify user requirements for trust restoring measures, followed by a questionnaire study including a business simulation game to quantify those measures in an exemplary manner. Preliminary results suggest that trust can only be restored to a very limited extent by specific intervention measures, but that systems must laboriously rebuild trust by long-term error-free functioning. 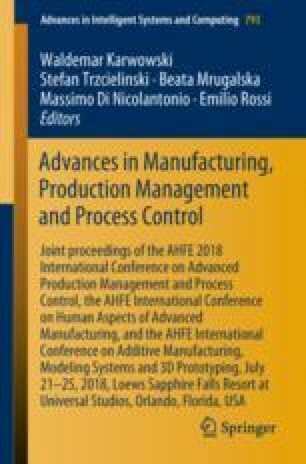 This research was funded by the German Research Foundation (DFG) within the Cluster of Excellence „Integrative Production Technology for High-Wage Countries” (EXC 128) and the Integrated Cluster Domain “Self-Optimizing Production Networks”  (ICD D1). The authors thank all participants for sharing opinions on a novel technology. Furthermore, thanks go to Christin Gatzka, Felix Glawe, Susanne Gohr, Nils Plettenberg, Lisanne Simons, and Jacqueline Bialas for their research support.